A few clients have asked me recently what natural supplements I include in my diet. I use the word supplements loosely because I’m not talking about pills. I avoid panadol/nurofen, I don’t really take any vitamin supplements except Arma Force (zinc, olive leaf extract, andrographis and echinacea) and DHA/EPA Fish Oil. But I see these as supplementing my regular diet. Really, they’ve become must-haves! I absolutely always restock these no matter how many new superfood/supplements hit the market, these are my tried and tested faves. They are in my kitchen for a number of reasons. c) They taste good and make me happy! An oldy but a goodie! ACV is known to cure a whole gamut of ailments. It’s made my from organically grown apples (check the brand first!) and retains many of the apples’ health attributes. It is fermented to produce enzymes and life giving nutrients. You want to avoid the clear vinegars – they’ve got nothing to offer – so look for something that is a little cloudy like Braggs ACV. It’s incredibly alkalising (which is where we want our PH level – prevents disease!). I use it on salad dressings, even on pork roasts, and often add a little dash in my morning hot water + lemon. I tend to reach for it more if I am feeling a bit run down. The best bit? It’s great for skin, it helps break down fat, it slows down the rise in glucose after a starchy/carby meal and improves bowel movements. A green spearmint flavoured liquid that helps do the job of hemoglobin (75% of our blood! ), which aids our red blood cells to build and move through the body. Chlorophyll has the same molecular structure as hemoglobin so it helps to rebuild and restructure our red blood cells. That aside, I find adding it to my water everday makes my skin clearer and keeps my digestive system flowing. Sometimes, If I’ve forgotten to repurchase I start wondering what’s going on down there… and then I remember. Aha! Chlorophyll! The beautiful Yaz over at The Happiness Cocktail did a fantastic post recently on Himalayan Rock Salt. Have a read. I’m not really into salt – I don’t tend to add it into my diet alot. Not because I’m trying to be healthy but because I never really crave the taste – I love the taste of real food. However, over the years I’ve learnt about how vital salt is to our diet. But, as with everything, it comes down to the quality and quantity. 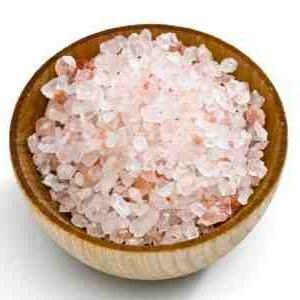 I first starting using Himalayan Rock Salt for my salt water flush. It’s imperative to use a good salt here. But as I researched more I realised that Himalayan salt with its 87 trace elements (including magnesium which is great for all the yogis/gym junkies/runners out there) is an amazing source of healing – energising and detoxing the body. Plus, you can ask my boy for confirmation on this, it just tastes so damn good! I have hailed the beauty of coconut oil many a-time on this blog! I cook with it, drizzle it on salads, sometimes eat a spoonful, add it to muesli and smoothies. I scrap the bucket (yes I buy it in a small bucket) and rub it on my skin. It is anti-bacterial and anti-microbial, it regulates blood sugar, promotes weight loss and improves digestion, amongst other things! I’ve previously posted a recipe for making it. I love yoghurt. Unashamedly. I grew up with it. It was always, and I do mean always, in the kitchen. Two types – Labne + Laban. One is drained of the curds and whey, leaving it a more familiar, thicker type of yoghurt. The other is a runnier version. Both are a little tart and most definitely not sweet. But that’s the way I like it. We add it to almost anything. Eat it on its own. Add to smoothies. Plus, it’s backed with good bacteria. I prefer to make it from unpasteurised, unhomogonised full fat milk (raw). This one is close to my heart. After all it was the foundation of my father’s business – Carwari Health Foods – and the reason I live and breath today. My dad’s business is what sent me through school, fed me, clothed me and then some. Thanks Dad. Tahini paste is made from sesame seeds. I love it now and add it to lots of things – I particularly like to add it to smoothies (when I’m not making one for Chris!) or baking fish in in. It’s hilarious that I love it now because growing up as a kid I couldn’t care less. Of course, because it was always there. Now, Tahini is an exceptional food. You can find it in unhulled (richer in taste, packed with more vitamins and minerals) or hulled (light in flavour and colour). It’s super easy to digest which is a plus because it doesn’t take the body long to conver tahini into a balanced supply of energy, vitamins and minerals. It is a powerhouse containing Vitamin E, B1/2/3/5/6, A. It is 20% protein – richer than milk, soya beans, and most nuts. AND, (big and) it is a HUGE source of calcium. Most of it’s 50% oil make-up is unsaturated fat. Despite the oil content it doesn’t go rancid and keeps for a really long time (it has a natural preservative). It’s too easy! You can add chia seeds to smoothies, muesli, salads. It’s the richest source of plant-based omega 3 fatty acids – the one we don’t have enough of! Also, they are high in calcium, antioxidant levels and protein! 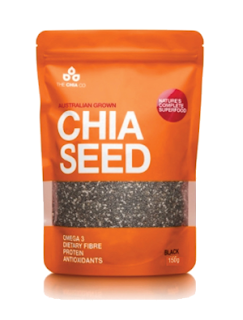 Check out this post for more chia seed info including a chia seed cacao ball recipe. Another one I can thank my mother for. This is quite a common middle eastern thing. 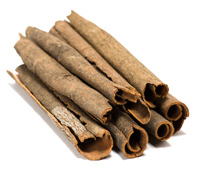 Now, I definitely mean BARK and not the cinnamon QUILLS. The bark is in its dried, raw state. I have a batch that I collect from my beautiful ma who purchases it from a particular Lebanese mixed business, but I’m sure anyone out there sells it. I mostly use the bark to make tea. It is so good at soothing your stomach and aiding digestion especially after a meal. Plus, it tastes unbelieveable. I also chuck in the bark to roasts and stews. It is also anti-microbial and stops the growth of bacteria. It is a blood-thinner, meaning it is anti-clotting and it helps to manage blood sugar – so it’s great for type 2 diabetes. 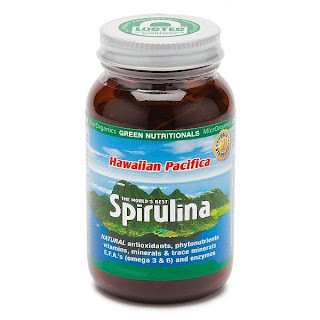 I’d been using spirulina for a while, but it wasn’t until I won a particular brand through the Wellness Warrior (thanks Jess!) that I started to really like it. Yes it’s got a fishy, algae taste but with the right high-quality product and of course the right mix of ingredients you can’t taste it. Which is awesome considering how good it is for you. It’s a source of (vegan) protein, rich in omegas 3,6 and 9. It also has the highest source of beta-carotene which becomes Vitamin A in our bodies for healthy teeth, bones, skin, eyes. Plus it’s packed with minerals – calcium, iron, magnesium, zinc. There is your ‘multi-vitamin’! So there you have it, an insight into what lives in my kitchen and what I consider to be must-haves in a healthy diet. Of course there are more things, but these are staples and unchangeables. What a great post my love, I learned a lot! I need to stock up on a few of these and welcome a little wellness into my life! Love your blog, especially today's blog post. Would you be able to let me know where I could purchase DHA/EPA Fish Oil? Hi Olivia – thanks for reading. Do stock up and let me know if you have any Qs. Grace, thanks so much for the feedback. 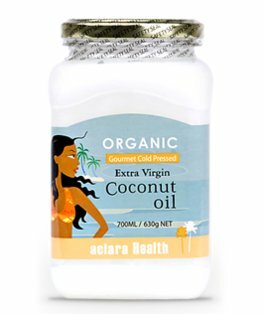 I use Bioceuticals DHA/EPA Fish Oil – I buy it from Dr.Earth (Newtown/Bondi). Thanks Oli. 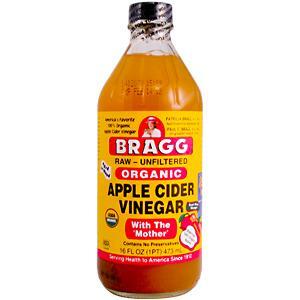 You'll love ACV> it makes for a killer dressing as well (olive oil, ACV, herbs, garlic, lemon juice)…YUM. Great post. Good to know I am on same track. Apart from the yogurt I have introduced the rest of them into my diet. Thanks for this article, Claire. I've recently bought coconut oil (for the first time) and used it in my sautéed green veg for dinner the other night. The smell was divine and it tasted delicious! Now to incorporate the chia seeds and spirulina I bought into my diet. Let alone the other foods you mention above!